Behind every rap megastar, there's a very talented engineer. Young Guru was at the desk throughout the recording and mixing of Jay‑Z's latest smash-hit album, The Blueprint 3. Gimel Keaton, aka Young Guru, at the SSL desk in Roc The Mic Studios. Shawn 'Jay‑Z' Carter is not only the biggest star in the rap world; with his own clothing company and Roc‑A‑Fella Records label, he is also a highly successful businessman. 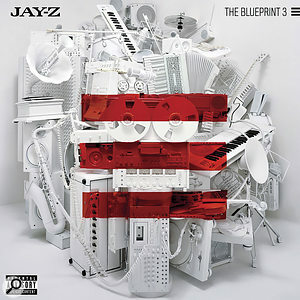 The recent third album in his 'Blueprint' series was his ninth American and his first UK number one, pushing his total album sales to date in the US alone to a staggering 30 million. Its lead single, 'DOA (Death Of Auto‑Tune)', provoked much controversy, while follow‑up 'Run This Town' was a number one in the UK, and reached number two in the US. The Blueprint 3 was produced by a swathe of hip‑hop luminaries including Kanye West, Timbaland, No ID, Swizz Beatz and the Neptunes. In typical Jay‑Z style, the rapper also gave a break to some less well‑known talents, in this case Jerome Harmon and Al Shux. The common factors throughout were Jay‑Z's own New York studios — Baseline and Roc The Mic — and engineer and mixer Gimel Keaton, better known as Young Guru. Having worked closely with Jay‑Z for a decade now, Young Guru has an intimate knowledge of the rapper's way of working. "It's pretty much the same process as when I first met him. Most of the time a producer presents him with beats, though he may also give a producer a song or beat idea. There will be a track, and Jay will figure out a flow and a concept for it, if it isn't already in the track. He'll then start pacing around the studio, mumbling to himself. He calls it his 'rain man' thing, and it's a mental exercise where he creates lines and will keep saying them over and over to himself, until he has them memorised. He'll construct a whole verse or pattern in that way. Once he has the verse memorised, he'll go into the booth to recite it. From a recording point of view, this works much better than someone reading from a piece of paper, and having his mouth tilted to one side. 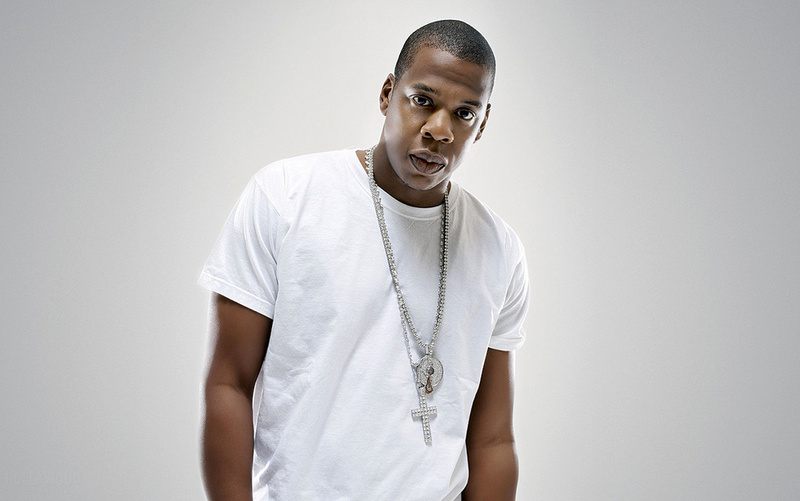 Shawn 'Jay‑Z' Carter is arguably the world's most successful urban music star. Kanye West produced seven out of 15 tracks on The Blueprint 3, some of them with No ID, who is Kanye's mentor and known as "the godfather of Chicago hip‑hop”. No ID single‑handedly produced the album's lead single 'DOA (Death Of Auto‑Tune)'. All basic tracks for the West and No ID‑produced songs originated in Avex Honolulu Studios, a commercial studio in Hawaii. Timbaland, who co‑produced three tracks, also spent time at the Hawaii studio. Young Guru — who was an engineer on 14 tracks, and mixed nine, including 'DOA' and 'Run This Town' — recounts the Hawaii sessions, which lasted 10 days. At 29 tracks, the 'Run This Town' Session is remarkably small. It consists of 10 stereo and eight mono instrumental tracks, all the work of Kanye West, and 11 mono vocal tracks recorded by Young Guru. The basic ingredients of the song are six drum tracks, a sample track, two guitar tracks, a 'Stomp' track recorded by Young Guru, with people stomping, a Moog bass track, an acoustic piano track, a couple of tracks with a heavily treated voice that functions almost as percussion, a track with an explosion sound, one lead vocal track each for Jay‑Z and Kanye, two Jay‑Z backing vocals, three tracks for Rihanna, and four crowd tracks, plus a grand total of four effect tracks. Young Guru: "More and more people mix as they record, but I don't like to do that, because usually I'm tracking to the [MP3] two‑track, and I will have been listening to that for a long time and its sound gets kind of ingrained in me. So when I get the full Session, I prefer to start from scratch, and go on feeling. I'm also not an in‑the‑box guy, even though I can do that if the budget requires it. 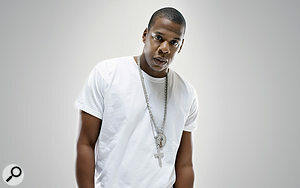 But for Jay‑Z's projects I always spread things out on an SSL, old‑school‑style. I can operate an SSL almost blindfolded and love it, particularly the 4000 G+. I'm also an extreme stem guy. After I've laid down the mix, I'll run each individual audio track via the board and print it back into a new Pro Tools Session with effects, EQ and everything on it, and at the right level. So in my stem Session all faders are set to zero. 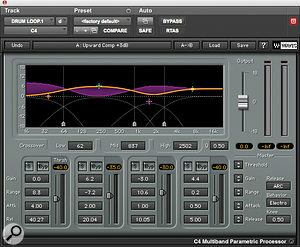 If I later want to change the level of the snare, all I have to do is change it in the stem Session. And when Jay does a live show with a band, and needs certain tracks because the sound can't be reproduced, I can give him stems of these. "I normally take a day for a mix. I first do the beats, taking an hour or two, because in rap and hip‑hop the beats are the most important element. 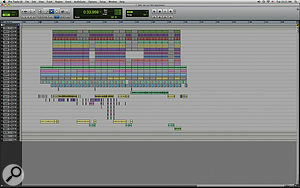 I'll then spend some time making the sample sit with that, and then I'll work a couple of hours on the vocals. After that I'll go away and watch TV or play PlayStation or surf the Internet, to give my ears a break. I'll come back in and listen again, and mix in the music, and do some more tweaks, and I'll stem it, and will go home. I leave it overnight, and the next day I'll listen again and improve where necessary. I'll print a pass and send it to Jay, and pray he listens on a good system, or I'll play it for him. He won't give me technical feedback, like 'add 60Hz on the kick', but to give an example, I'd mixed one song really hard and punchy, and he told me that was not the focus of the song. The song was about heroin and the trappings of the city, and it had to be, in his words, 'like therapy'. Young Guru used Waves' Renaissance EQ to filter out hiss at the top end of a sampled kick, while the same plug‑in was employed to brighten up a TR808 kick drum (below). 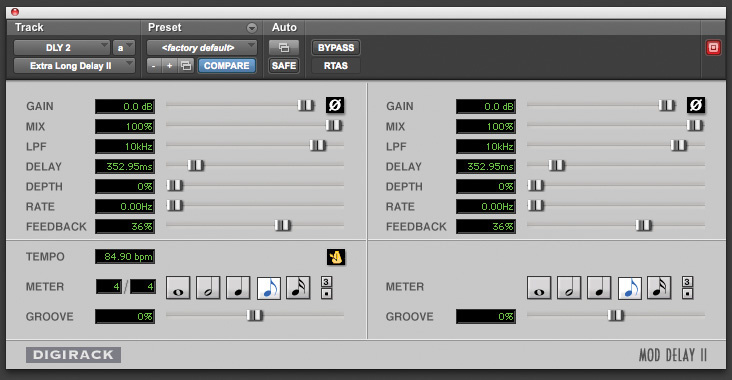 "The way the drums hit is my signature style, and part of my sound comes from the fact that they almost always go through a [Empirical Labs] Distressor and an API 550. I spend a lot of time on that and on finding the balance where the sample sits with the drums, because where the sample sits in relation to the drums is what makes or breaks these types of songs. Sometimes people turn the sample up too much and it swallows up the drums, which then don't have enough hit left. I often do extensive work on the sample. I will go as far as splitting it up into frequency ranges as many times as I need, and I will mult these across several channels on the board. I may have bass, mid, and high, spread over three channels, so I can carve out what aspects of the sample I want to cut through in the track. I may want to flesh out the sample a little more to be able to combine it with the rest of the sounds, and sometimes just EQ'ing the sample as a whole is not enough. I do whatever is necessary. When splitting up the sample into frequency bands I may compress one channel more than the other. 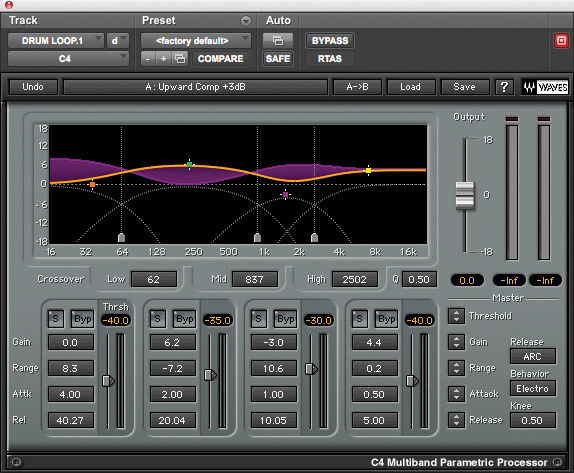 Or I apply very specific EQ with a GML or something like that, to affect a super‑small bandwith. Remember the samples are coming from vinyl, so there might be clicks and pops and little scratch noises that I need to deal with, and also, the sampler itself may add a signature sound. The ASR10 sounds different from the MPC series, and you want to enhance that and not take away from it. The other thing that is very important is the phase. When I am dealing with digital audio which I can move around, I always make sure that the kick and the snare and rest of the drums and the sample are perfectly in phase. Drums: Empirical Labs Distressor, API 550, Waves Renaissance EQ & C4, Digidesign Reverb One, SSL desk dynamics & EQ. 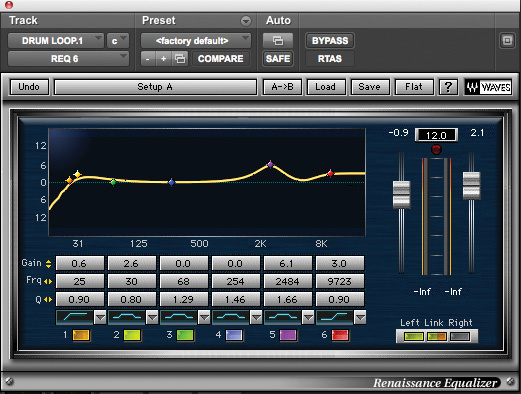 "Kanye's drum loop has a Waves REQ6 on it, which boosts around 2484Hz to get the snare to snap a little bit harder, and a Waves C4 multi‑band compressor to glue everything together. I am a Waves‑heavy guy, because back in the days when plug‑ins first came out, Waves probably had the best quality, so I got used to using them. 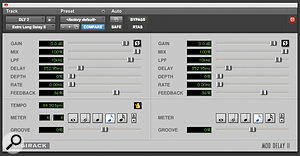 Waves, UAD and Altiverb are my main go‑to plug‑ins. I am in love with the UAD series, I love their recreations of the older stuff. On the board, the loop goes through a Distressor and then an API, either 550a or 550b [EQ]. 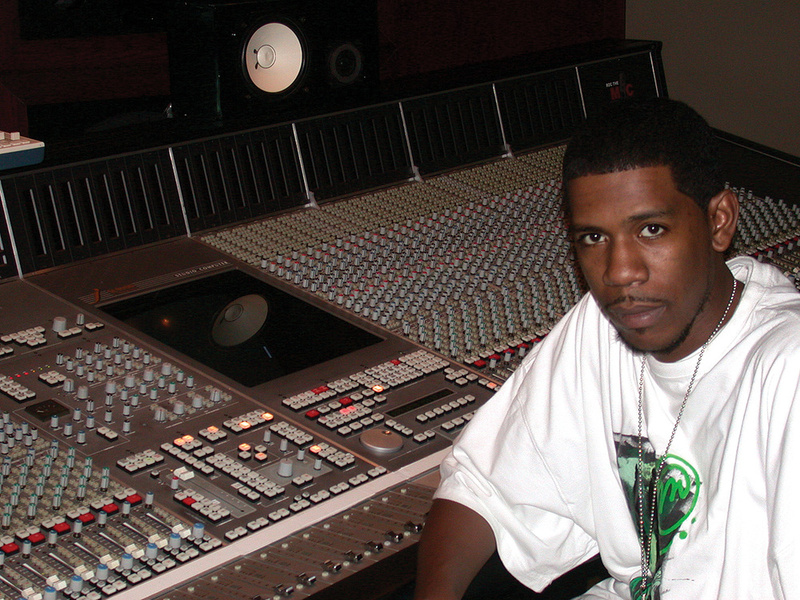 "My liking for the Distressor‑API chain may come from my learning experience at Omega Studios [see Young Guru box]. Their API room sounded incredible, and I loved to track through their API preamps and EQs. I just fell in love with them, and they sound fantastic on drums. 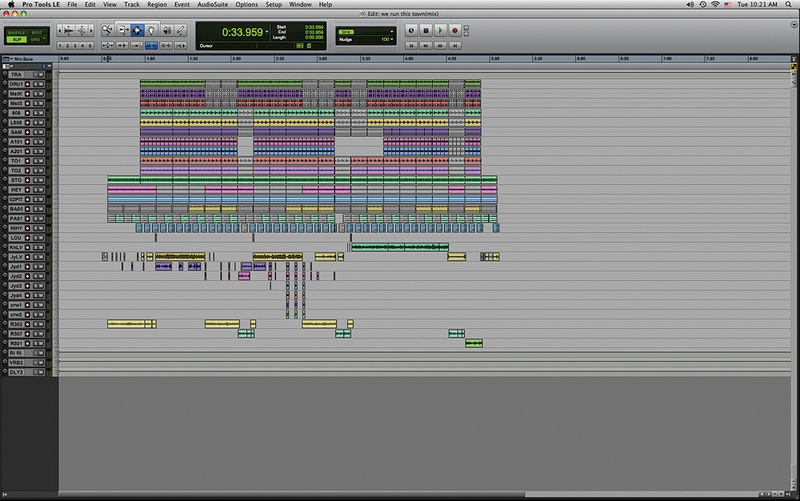 The loop, the guitars, the toms, the piano, and various other tracks all are sent to bus 1‑2, going to the 'Trac' effect track, which has the Digidesign Reverb One. I am from the school of being able to tell what studio somebody recorded at because of the way the room sounds. So I put that reverb on to make it sound as if it all came from the same room. "The kick, 'MstrK', had way too much high in it, so I put the RE6 on to take that out. Sometimes when the kick is coming from a record you get that sample hiss, and you have to take that out, and you have to make sure that it sits right. This was a clean‑up thing, and not an aesthetic issue. I didn't do anything to the snare, 'MstrS'. The additional kick and snare, as well as the two 808 tracks, don't go to the overall reverb, I felt that they sounded better dry. There are two 808s, and they don't play at the same time, they complement each other. The first 808 had an RE6 on it, to get it to sit right. I'm boosting at 2.7k, for character, and at 10k for air. A lot of people miss the higher register of the 808, which actually gives it its character. By the way, I never really look at the numbers when I am EQ'ing, I just move the dots around and listen. The only number that I will pay attention to is the Q. The low 808 rings out longer, and adds strength to the drums. 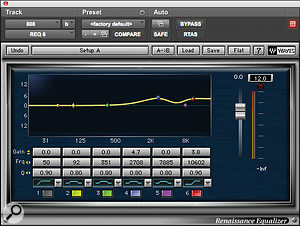 On the outboard, the two 808s and kick and snare would have gone through the Distressor and the API. Body was added to the sample at the heart of 'Run This Town' with mid‑ and low‑frequency boost from Waves' Renaissance EQ.Sample: Waves Renaissance EQ, SSL desk EQ & dynamics, Focusrite ISA 110. Guitars & bass: Waves Renaissance Bass, Digidesign Eleven, Massey TapeHead, SSL desk EQ. "I used the Renaissance Bass on the guitars ['AG101', 'AN201'] because they seemed a little thin, and they needed to have more body because they are going against the heavy rock guitar inside the sample. The Eleven plug‑in was put on by Kanye, for the tone, so I just left that. The Massey TapeHead made the guitars sound as if they were coming off tape, and this was also done to make sure that they blended in with the sample, which had been taken from a vinyl record. I didn't use any outboard gear other than the SSL EQ. The guitars are low in the mix, as they only add support to the guitars in the sample. Piano & sound effects: SSL desk EQ, Waves Renaissance EQ, Lexicon PCM42. Rihanna's vocal tracks were treated with a simple quarter-note delay from the Mod Delay II plug-in that is bundled with Pro Tools. Vocals: Waves Fairchild 660, ADL 1500, Focusrite 110 EQ, Lexicon 480, TC Electronic D•Two, Shep 1073, Antares Auto‑Tune, Waves SSL EQ & Renaissance De‑Esser, Digidesign Reverb One & Mod Delay II. Born in the tiny US state of Delaware in 1974 as Gimel Keaton, Young Guru acquired his nickname in his teens, when he was teaching African history classes at a community centre. He also used his name when he began working as a DJ while still a teenager. In the early '90s there were no clubs in Delaware, so Young Guru brought his own amplifiers, lights, microphones, and so on, which sparked his interest in music technology. He began DJ'ing in Washington DC in 1996, where he met singer/rapper Nonchalant, who had a top 20 single at the time, and became her tour DJ. Young Guru, who had taken piano lessons as a child, used the money he received from the tour to fund a six‑month music recording course at Omega Recording Studios in Rockville, Maryland, which had a great impact on him. After Omega, Young Guru engineered Nonchalant's second album, which was never released, but the producer, Chucky Thompson (Mary J Blige, Faith Evans) recognised the young engineer's potential and invited him to come and work with him in Washington DC. In 1999, Young Guru went independent and moved to New York, where he worked with Deric Angeletti on his Madd Rapper project and with Memphis Bleek. The latter was signed to Roc‑A‑Fella Records, which led to Young Guru meeting Jay‑Z.